At the time, the only way was to go to a shop and buy a physical card with a code to scratch off and enter into your phone. After returning from one of our trips, we brainstormed how this could work differently and sent a proposal to Thuraya. They accepted almost immediately, and together with Brad Bond, we started building this functionality. 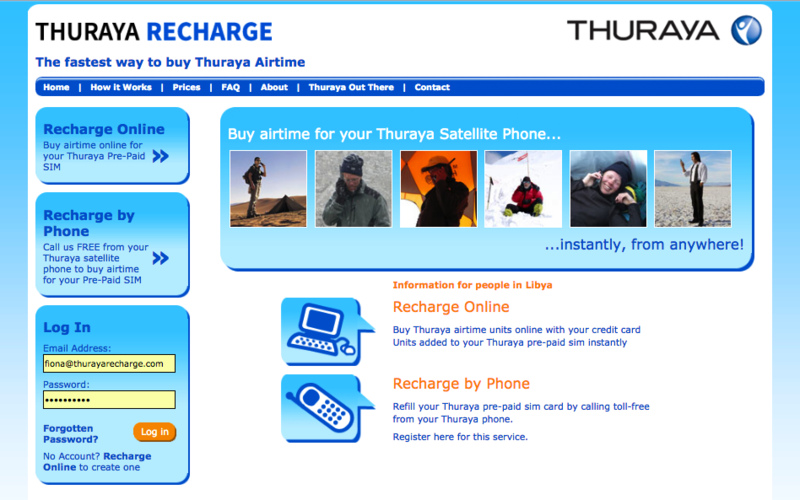 ThurayaRecharge.com has now been running since 2008 and provides a convenient way for thousands of people to add credit to their satellite phones.